In 2014, the government raised the fee for those wishing to formally relinquish their U.S. citizenship from $450 to $2,350. But nearly a third of those surveyed say they are still thinking about doing it anyway. 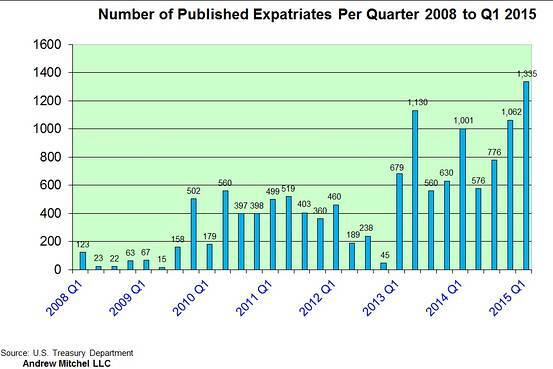 The U.S. increased the cost of relinquishing citizenship to over five times the amount in an inarguable attempt to prevent this mass exodus from occurring, but as the 2015 first quarter numbers reported above show, it did not work. We then note a number of "breaches" and "hacks" that have widely reported on, specifically "a data breach at the US agency responsible for conducting security clearance background checks," which exposed the personal data on 4 million federal workers, past and present. A cyberattack on the US government's personnel office compromised the data of up to 4 million current and former federal employees, officials said Thursday. The FBI said it is investigating a hack of network security at the Office of Personnel Management. Federal officials suspect Chinese hackers are behind the data breach, believed to be the largest in a recent wave of attacks targeting federal agencies, according to The Wall Street Journal. On May 7, 2015, it was reported that "A Grand Jury in the Southern District of Texas indicted three women charged with nine counts of wire fraud, conspiracy to commit wire fraud and aggravated identity theft in connection with the alleged use of U.S. passport information in Houston. One of the women has been identified by media reports as a contractor working for the State Department. Both the AP and local news say that the Houston and Atlanta passport offices were targeted." This resulted in a letter being sent out to some passport holders dated June 5, 2015, which states in part "We have also flagged your U.S. passport record in our databases to prevent others from using your identity to renew or replace your passport." Now, coincidently, the State Department is having trouble with issuing passports, and supposedly only affecting the issuance of "overseas passports," according to multiple reports. State said issues with the Consular Consolidated Database are affecting passport applications that have been accepted overseas on or after May 26. They also said individuals who had planned to travel within the next 10 business days should request an emergency passport from the U.S. embassy or consulate where their original application was filed. Domestic passport operations, however, are not affected. According to the latest news update at Travel.State.gov, the passport issue has been resolved but the Visa issue is still ongoing. Tried to get new one ordered for wife and daughter, some "technical" issuewith state department has a hold on issuing passports. Even tried online fast return service..... They have a disclaimer on their site too. - Be safe.Shalom - Seems fishy...like excuse so people can't " jump ship"
By now a person would have to be living under a rock with no access to television or Internet to be unaware of military operations occuring and scheduled to occur all across America. 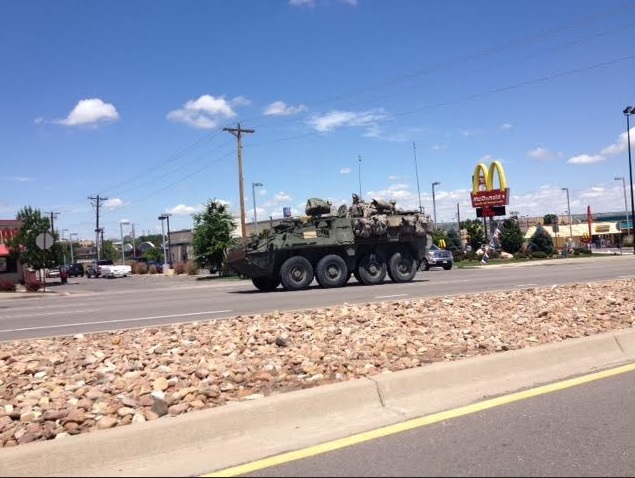 Such as Raider Focus and Jade Helm, just as two examples, where military convoys and assets are being positioned all across the country, with photos and videos showing staging areas, including new reports of some in states that aren't even listed as part of the scheduled exercises, such as yesterday's report at ANP titled "Massive Buildup Of Military Vehicles At Washington Wal Mart As Martial Law Train Convoy With Gun And Ammo Containers Makes Its Way Through Portland." In the report linked above, by Stefan Stanford, please note the 'Area Orientation: Continent of America' slide show screen shots which are part of the Army Special Ops 'PsyOps' class to understand that despite what the public is being told and even members of the military participating in these "training" exercises, the focus is not on countries overseas, it is on America. For those that somehow are still unaware, see the "Chronology Of All ANP Jade Helm 15 Articles, Related Walmart Closings, And Military Movement Across America." Even more disturbing we have provided reports on white UN 'attack' choppers documented within the U.S., and as you will see in the video below, an apparent attempt to hide the UN logo of a medic truck traveling through Northern Louisiana on June 10, 2015. We have heard quote a bit about the "war on cash," and it is noteworthy because as was stated to us in an email this morning "Travel and money restrictions are always indicative of war - by a country against its own citizens." “Do you need to withdraw cash to purchase a used car from a private seller? Or perhaps you are pulling out some emergency cash for a loved one,” writes Mac Slavo. 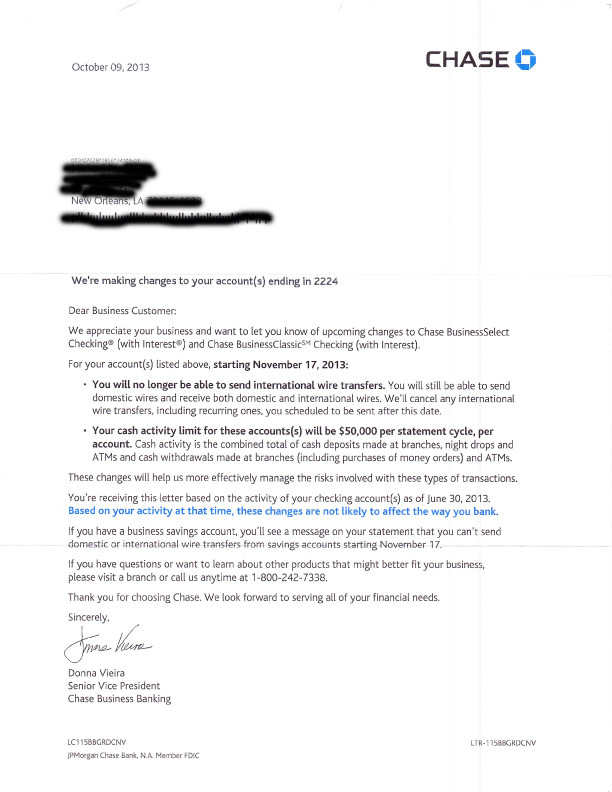 Reports going back to 2013 have been showing an ongoing increase in banks limiting the amount of cash a depositor withdraws from their own account, citing federal reguslations. Banks such as HSBC, Chase, Bank of America, and others. Let me be as clear as possible here because trolls love to misquote and twist words - We are not stating this "event" the U.S. government is preparing for will result in a lock-down of America on any specific date, such as the July-September dates of the scheduled Jade Helm 15 exercises, but the preparation is happening as evidenced by round-up drills already having been conducted and caught on camera and the lack of transparency (the U.S. government didn't even acknowledge or inform the public until documents were leaked and published in mid-March) regarding these military operations that veterans have warned us are completely unprecedented in scale. They are preparing for something huge. Below is the an important Hagmann and Hagmann show published on May 29, 2015, where author and researcher Steve Quayle and John Price join Doug and Joe and speak to why so many are fleeing America aka "Babylon." Soon it will be too late to flee as we come to a point where it appears we could be soon locked in to be locked down.